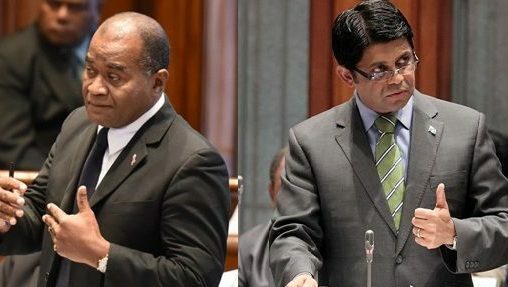 After twelve hours of budget response from both sides of the house, a war-of-words broke out between Attorney General Aiyaz Sayed-Khaiyum and Opposition MP Niko Nawaikula in parliament last night. Sayed-Khaiyum labelled Nawaikula ‘notorious in parliament’ for making a comment about FICAC being listed under the Department of Justice which falls under the Office of the Attorney General and later denied saying it. Following the statement made by Nawaikula, a point of order was raised by the Attorney General. Sayed-Khaiyum requested the Speaker to have Nawaikula’s comments verified by the Hansard reporters which was approved, confirming he uttered that comment. Nawaikula hit back at the Attorney General after withdrawing his statement. Speaker Dr Jiko Luveni reminded the parliament to uphold the entirety of the house and advised members to be careful of the language they use. Parliament resumes at 9:30 this morning.